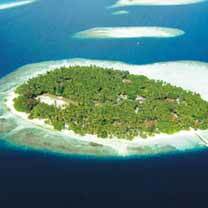 Located in the Indian Ocean, the island nation of Maldives is made up of 26 atolls pointing towards the north south off India’s Lakshadweep Islands, perched between the Chagos Archipelago and Minicoy Island. A natural wonder Maldives is here to sweep you off your feet with its awe-inspiring beauty, silvery white beaches fringed with palm trees, the clear blue sky, and the tranquil tropical island. 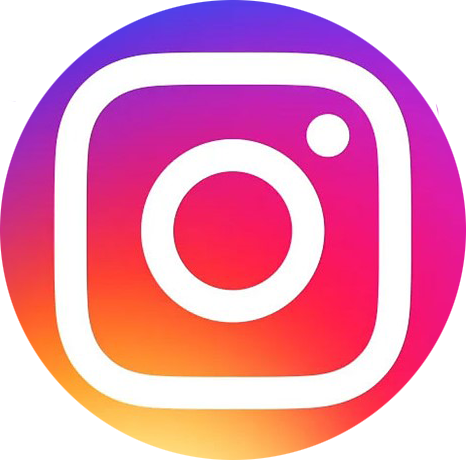 Maldives travel guide take travelers across some of the most amazing sightseeing attractions like Male, Thulhagiri Resort, Bolifushi, Ari Atoll, Rasdhoo, and Male Atoll. Moreover, you can also indulge into some thrilling adventure activities including the catamaran parasailing, banana boat rides, scuba-diving, under water walking, snorkeling, kite-surfing, jet skiing, and much more while on your tour with Maldives Tourism. Hulhudhoo-Meedhoo is an inhabited island in the eastern side of the Addu (Seenu) Atoll. 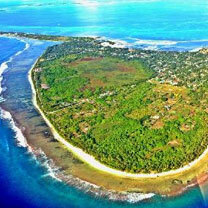 The only inhabited located to the eastern side of Addu Atoll is administratively separated into two islands namely – Hulhudhoo and Meedhoo. Male Friday Mosque is one of the oldest & ornate mosques in the city of Male. The Male Friday Mosque is a paradigm of sea-culture architecture. Moreover, it is also listed in the tentative name UNESCO World Heritage cultural list in 2008. 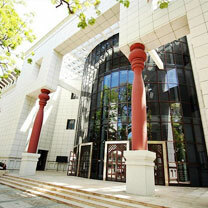 The Maldives National Museum is a 3 storied located in the Sultan Park in Male. The interiors of the museum are perfectly retained since its construction. The walls of the museum are engraved by handwritten Quran and showcase a diverse range of artifacts. 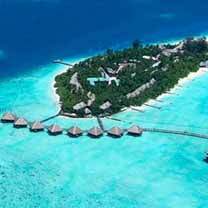 Located to the south of Male Island, Villingili is an island perched on the North male Atoll. The fifth district of male, Villingili is about two kilometers west of the Male Island. 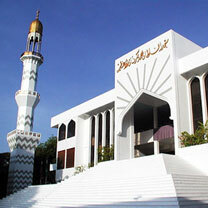 The Islamic Centre is a famous attraction in Male inaugurated in the year 1984 by the President Maumoon Abdul Gayoom. 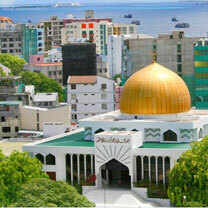 The Grand Friday Mosque located within is the largest mosque in Maldives, and also in South East Asia. 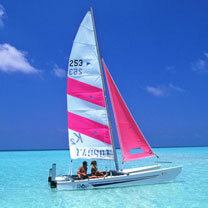 Catamaran Sailing is a refreshing adventure sport that can be best enjoyed in Maldives. Embark on a great sailing trip across the crystal clear azure waters and enjoy catamaran sailing in Maldives on your Maldives sightseeing tour. 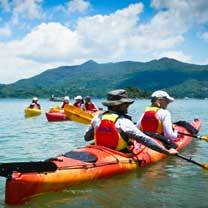 The scenic backdrop, crystalline waters, and breathtaking aura, makes Maldives a great destination for kayaking in South East Asia. This famous adventure sport invites a lot of thrill seekers to Maldives for a great holiday in Maldives. 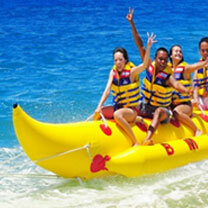 Banana Boat is a large inflatable tube used to sail over the large waves and high speeds. Usually offered for 10 to 15 minutes, Banana Boat Rides are a famous adventure sport activity and a must for those on their Maldives holiday tour. 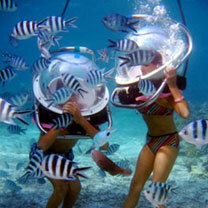 If you are looking to take your water sport love to a whole new level, then you must try under-water walking in Maldives. Explore the colorful & varied underwater creatures, and suffice your adventurous soul. An underwater sport, scuba diving is a famous adventure sport than can be best enjoyed at Lhaviyani, North and South Male, Vaavu, Meemu, and Laamu. 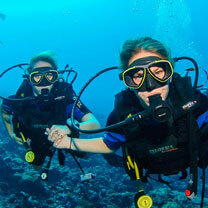 The azure beaches backed by the most stunning beauty make one of the best spot for Scuba diving. 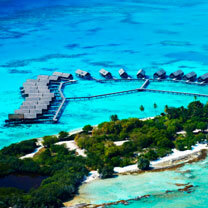 The best time to visit Maldives for a vacation is from the months November to April, when the weather is simply awesome. 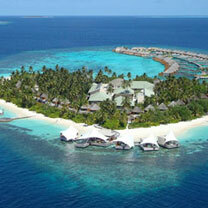 Plan your visit during this period for a great vacation in the Maldivian island. Coconut forms an essential part of the most of the dishes in Maldives. An essential part of every meal, Rice is mostly imported in Maldives. 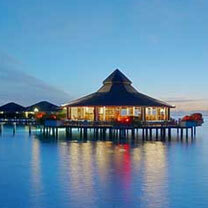 A wide variety of sea food is also served to food lovers in Maldives. The city of Male is the major shopping destination, and the Majeedhee Magu Street is a famous shopping street in Maldives. Here you can shop for some of the best international brands, and cheap thrift stores. Eid Ul Adha is one of the most important festivals celebrated by the Maldivians. Some of the other celebrations include Independence Day, Prophet Mohammad's Birthday, Ramadan, Republic Day, and others.